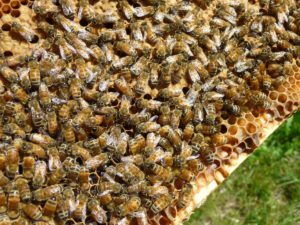 The Washington State Beekeepers Association has developed and approved a practical field test. Part of the Field Test will include a walk-through demonstration of what will be covered during the practical field exam. The demonstration will be provided by the person evaluating the student. Students will receive a copy of the Journeyman Field Test Report for the practical Field Test prior to their evaluation. The Field Test will be conducted in the candidate’s apiary if possible. Apiary complies with all local ordinances. Proper use of queen excluder. Use of other equipment – pollen traps, etc.